For adventurous travelers visiting the Phoenix, Arizona area, there is no shortage of activities. Nerby Mesa and Scottsdale offer numerous adventure activities perfect for the independent traveler. Trapeze, glassblowing, and ghost towns—these unexpected Arizona activities are the recipe for a solo vacation to remember. For a long time, I was wary of traveling solo. A seasoned traveler, I wasn’t worried about my safety or ability to navigate a trip on my own, but rather I was mostly worried that without anyone to keep me company, I would get bored while on the road. I’ve discovered, however, that active, adventurous travel not only kept my hands and mind busy, but that it could be even more fun to do alone. I got to build out itineraries based solely around my own interests, go completely at my own pace, and revel in the rare opportunity to be totally selfish—there’s no need to acquiesce or compromise when your travel companion is yourself! While solo travel is possible anywhere in the world, some destinations stand out above the rest for the ease and opportunities they provide those traveling alone. 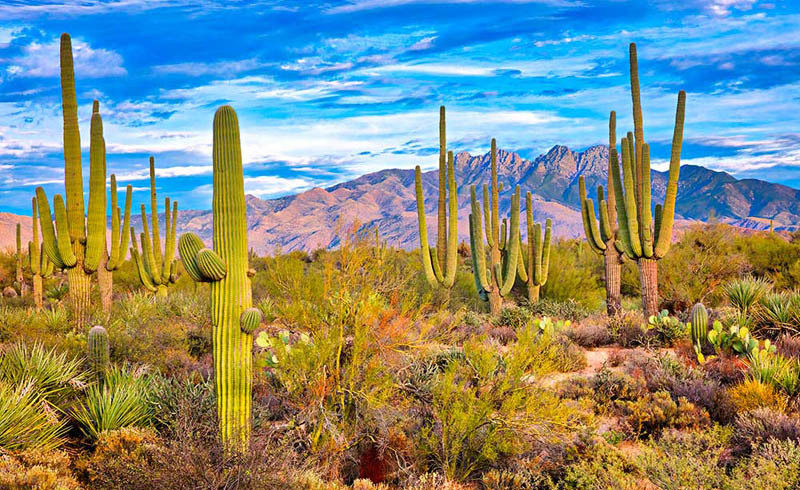 For example, Scottsdale and Mesa—two small cities located just outside of Phoenix, AZ—are a solo traveler’s dream. 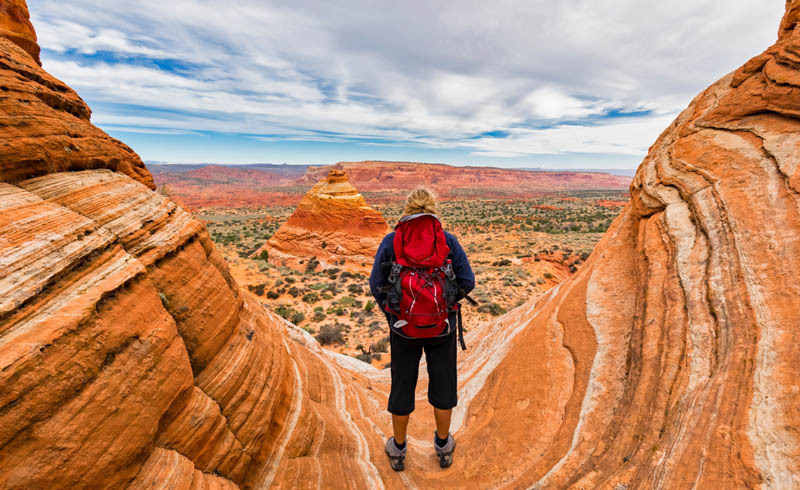 Next time your travel plans take you to the American Southwest, consider adding these awesome Arizona activities to your itinerary. If you’ve ever dreamed of running away and joining the circus, you can indulge that fantasy as you swing through the air with I.FLY Trapeze in Scottsdale. The instructors are professionally trained trapeze artists, and they perform exciting stunts in between instruction. Shortly into my 90-minute group lesson, I was hanging off the bar by my legs, and soon after accomplished a backflip dismount. By the end I even had managed a “catch”—a simple but thrilling move where I grasped hands and swung with an instructor mid-air. It’s definitely a workout—so make sure to add some clothes you don’t mind sweating in to your travel pack—and then enjoy the incomparable adrenaline rush! I became infatuated with glass art after discovering Dale Chihuly’s work, but never thought I’d be in a position to try the craft myself. When I learned that the Mesa Arts Center offered beginner classes in glassblowing, then, I knew that I had to try it. It ended up being even cooler than I expected! Under the instruction of a seasoned glass artist, I created a glass flower and a glass pumpkin. Sure, the flower was somewhat lopsided, but I’m still pretty proud of my multicolored masterpieces. Pro tip: If you plan on bringing home souvenirs from a trip, a bag with a removable daypack gives you just enough extra room to pack in more on your return trip. I never really understood the appeal of sports cars until I was handed the keys to one. The thrill that comes with operating such a powerful vehicle is intoxicating. During my visit to Scottsdale, my hotel had partnered with Porsche to let guests take one of their new cars out for a spin. I drove mine through the Tonto National Forest, and zooming past enormous cacti and winding along the mountainside—laughing the entire way—was easily the best way I’ve ever seen the desert. If your hotel doesn’t have sports cars on hand, one of the many car rental companies in Scottsdale surely will. Traveling alone means you have more freedom to tweak your plans to explore on a whim. When I passed by a sign for a “ghost town,” then, I grabbed a camera from my day pack and rerouted my day’s plans to check it out. Goldfield, the ghost town I ended up in, is a former 19th century mining town that was abandoned when the mines closed. It’s since been renovated into a tourist attraction, where you can tour the mines and dine at the saloon. Because I had just happened upon it, it felt less like an attraction and more like a bizarre, accidental trip back in time. I spent close to an hour walking around and poking my head into the shops before getting back on my way towards modern civilization. There are more than 200 ghost towns in Arizona, so the chance of accidentally finding yourself at one is relatively likely. Have you taken a solo trip to Arizona? What are your favorite activities? Tell us in the comments!